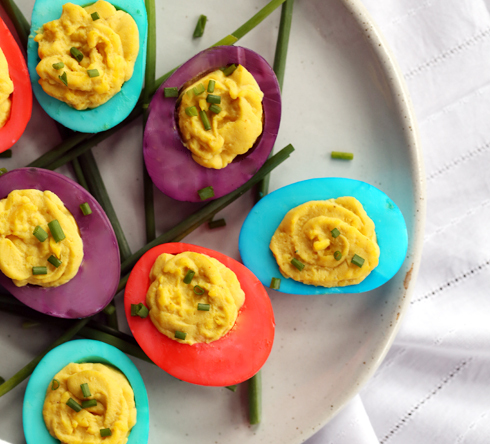 Perfect for Easter, these Dyed Deviled Eggs by Ohio food blogger Melanie Makes make for a festive brunch appetizer. Use gel food coloring to dye the egg whites for a pop of fun color! 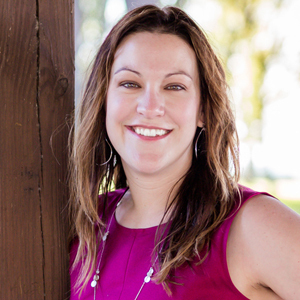 Melanie Bauer lives in Cleveland, Ohio and is the Melanie behind Melanie Makes, where she works to make everyday eats a bit more interesting. She thinks every dessert can be made better with chocolate ganache and believes menu-planning is a must for a more enjoyable week.